Wearable technologies have seen a tremendous development in recent years: step and calorie counters have long made their way to our phones and watches, and new consumer-grade sensors can now measure a breadth of physiological functions that until recently could only be found in the monitoring equipment of intensive care units. However, despite the undisputed short-term benefits due to the user increased awareness, quantifying the potential value of wearable technologies in improving longer-term health outcomes remains an open question. In this talk we will present evidence that activity tracking data contains a wealth of information that is predictive of metrics directly related to health outcomes, ranging from medication adherence to lifestyle. To this end, we will show how machine learning tools need to be adapted to take full advantage of densely sampled, multi-variate time series of tracker data. Finally, we will reflect on how the predictive power of wearable data can be harnessed to inform behavior change interventions, and how expertise in computer science, clinical medicine, and behavioral psychology will have to join forces to overcome obstacles in adoption, user engagement, and regulations. 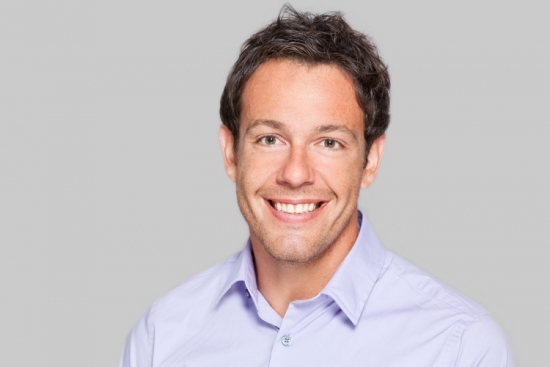 As Co-founder and Head of Data Science at Evidation Health, Luca Foschini PhD is responsible for data analytics, computing, research and development. Dr. Foschini has driven research collaborations with machine learning experts at NYU, behavioral economics departments at Harvard Business School and the Wharton School. Prior to this role, Dr. Foschini worked as R&D at Ask.com and was a visiting scholar at Google Research and ETH Zurich where he developed efficient algorithms for mining spatial data, partitioning large graphs, and detecting traffic anomalies in computer networks. He earned a PhD in Computer Science from UC Santa Barbara focusing on traffic analysis in computer and road networks. He has published numerous papers in the broader area of computer science and he co-authored several patents in information clustering and behavior phenotyping. Dr. Foschini is an alumnus of the Sant'Anna School of Pisa, Italy.